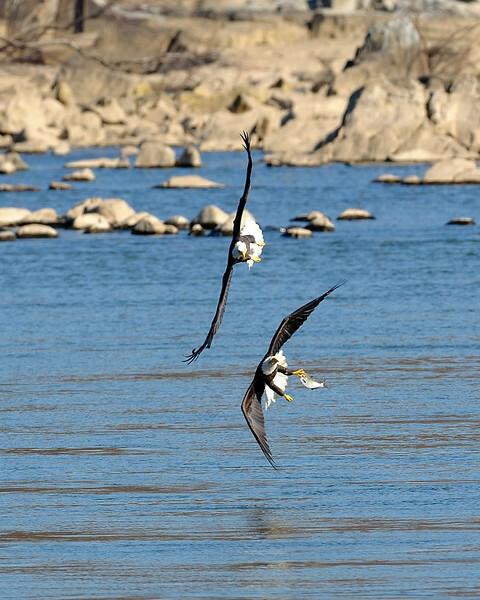 When there are a bunch of bald eagles hanging out in the same location, the fishing is often competitive. Here you will see a chase sequence involving 3 adult bald eagles. The one with the fish had to do some fancy flying to hang onto its catch.